Washington : President-elect Donald Trump has nominated Indian-American Governor Nikki Haley as the US Ambassador to the United Nations. She has also accepted the nomination and her appointment must now be confirmed by the US Senate, the Upper house of the US legislature. 1. 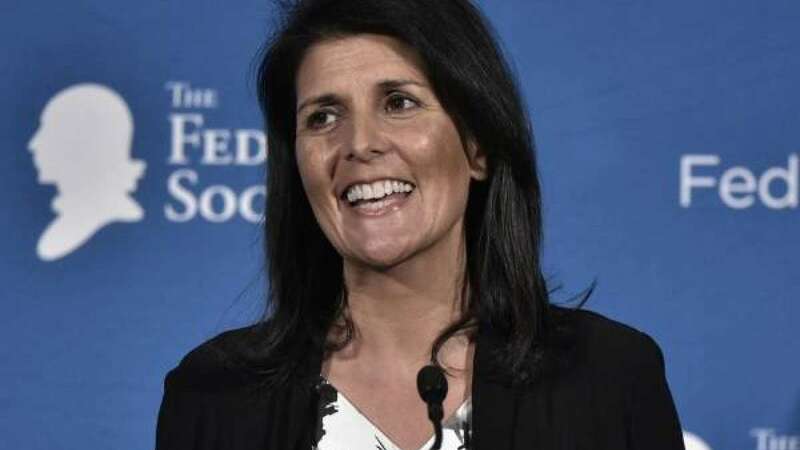 Born to immigrants from Punjab: Born in 1972 in Bamberg, South Carolina, Nikki Haley Nimrata Randhawa is a daughter of Ajit Singh Randhawa and Raj Kaur Randhawa. They have migrated to the United States from Punjab’s Amritsar district. 2. Governor of her home state: In 2011, she became governor of South Carolina. She was just 38-year-old that time. She was the southern state's first non-Caucasian - as well as its first Asian-American governor. 3. Second term: In 2015, she was again selected for the governorship. She is currently the youngest serving governor in the United States. 4. Don’t like Trump since beginning: Nikki Haley is well known for not liking Donald Trump and his policies. She had endorsed Senators Marco Rubio and Ted Cruz during the Republican Primary election. 5. About her family: She is married to Michael Haley. They had tied knot in both Church and Sikh Gurudwara. The couple is blessed with two children, Rena and Nalin.